It is advent season and every day we open another virtual door for you. Behind the 13th door are again two items waiting for you to be discovered. 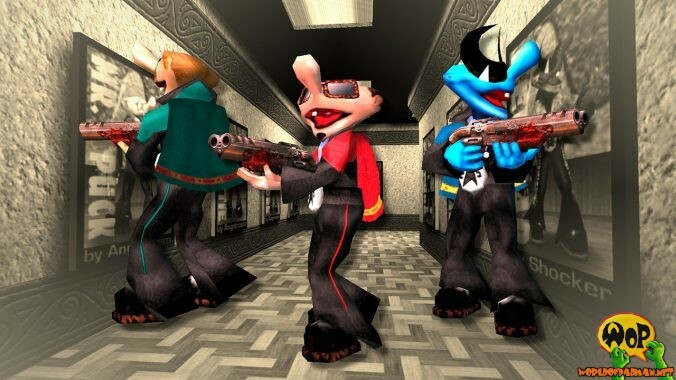 First comes ENTE’s PadSpace, which is his seventh PadMap and was released on July 29th, 2000. It represents a part of a space station with hangar and shuttle, an engine room, a control station etc., which are connected with corridors. 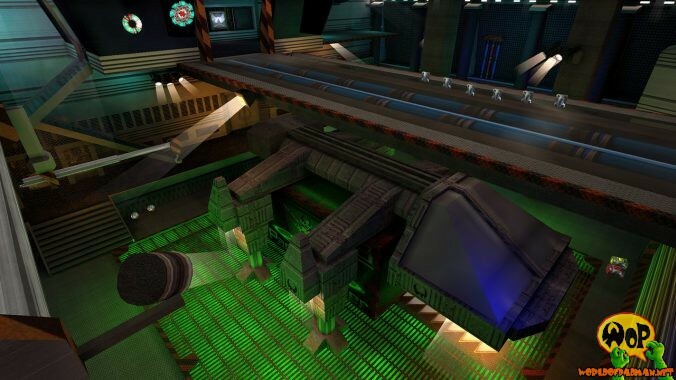 It is ENTE’s first science fiction based map and burst with colorful light effects, animations and a lot of detail, which provides a great atmosphere. Here, for the first time the Swedish band Dieselkopf comes into one’s own with the provided music. Second comes the Padtrekkies Pack, which contains four alternative Star Trek alike skins for ENTE’s Padman created by Angstroem. With it comes Cpt. Kork, Mr. Spuck, No. 1 and Schrottie, which feel most comfortable in ENTE’s PadSpace. It was released on August 31st, 2000.